It’s been such a long time since I posted about our treasure baskets and thought an update was in order! If you haven’t heard of these or made one before you are in for a treat. 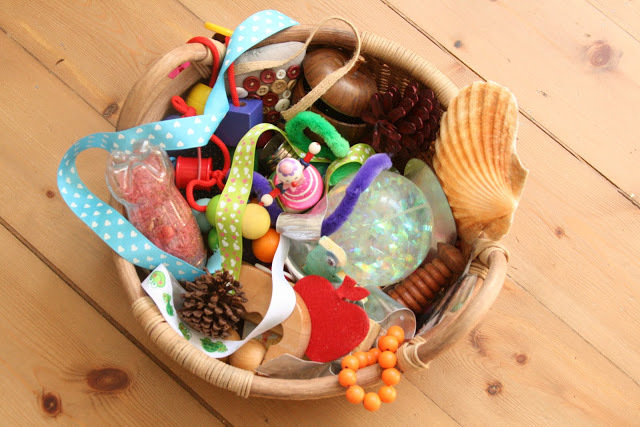 Treasure baskets are virtually free to create, take a few minutes to put together, are natural and help to develop so many skills and abilities in babies from 6-18 months. 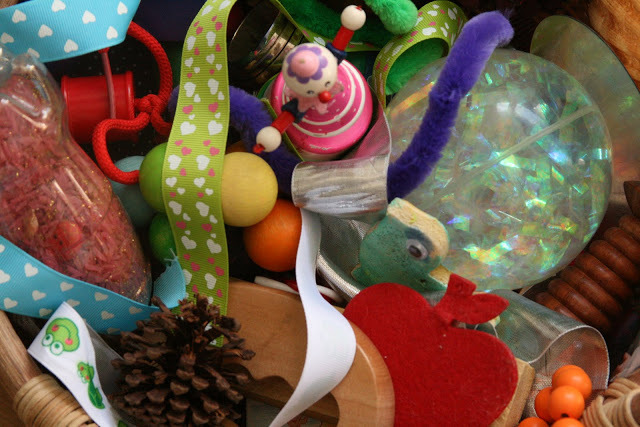 Please read here to find out more information on heuristic play and the use of treasure baskets with infants. Baby Pop still loves to play with her basket and now I have got her a round one which makes it much easier for her to access all of the contents from all angles. The objects inside are interesting to look at, feel, shake and taste, yet safe and non-toxic. There is no particular “purpose” to any of them, yet they can be manipulated, explored and played with in a multitude of ways. 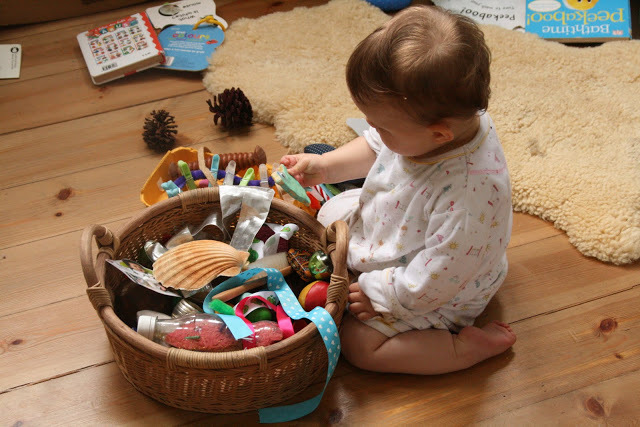 The basket promotes curiosity and a natural desire to investigate and think, which are wonderful skills to be seeking to develop in babies! 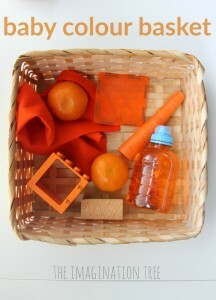 As before, we change some of the objects regularly to keep the basket interesting and fresh to play with. I can usually tell when I need to do this as she starts to fling things out without even looking at them, at breakneck speed. It’s very entertaining to watch but let’s me know things have got a bit stale again! * and…. plenty of other tidbits too! I have found that she LOVES this basket because it is all hers and that means a lot with a big sibling around at the moment! She likes it even more if I keep it hidden and just bring it out once or twice during the day, therefore keeping the novelty factor alive. Obviously it’s crucial to have the TV off and other distractions kept to a minimum, then just sit by baby and interact when she invites you to. Don’t leave baby alone with the basket however, as there may be some items that are dangerous if played with without supervision. 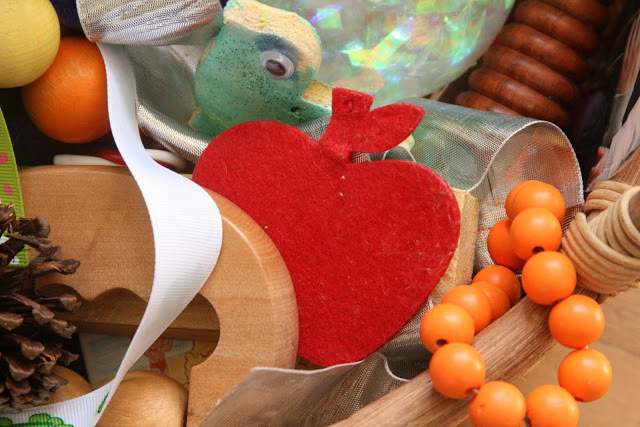 What could you find around your house to put in your treasure basket? It would also make a beautiful and unique natural gift for a new baby or for a first birthday present! Love this! I used to keep all kinds of items like this in a clear hanging shoe organizer and I would let C select items by herself. It was one of her fav things as a young toddler/baby! You are a great Mom! This is exactly what babies need to explore! What great ideas for items for the basket. I’m sure she enjoys them a lot. It’s cute that she talks to the pictures of babies. I’ve linked up to your post here: http://play2grow.blogspot.com/2011/04/weekly-favorites-for-easter-2011.html Happy Easter! This morning I gave my baby a wallet with lots of different compartments and laminated pictures of family members (this was something my older daughter also really enjoyed). She was thrilled to see that when we opened a section of the wallet she could access photos. She needed help opening some parts of the wallet and accessing the photos. Perhaps some photo album,s or something that can be flipped open with photos in it could be something that could be included in a treasure bakset. I just wrote a brief blog post featuring your idea of using craft foam pieces and water. I linked back to your fabulous blog. I have a plastic basket in the bottom of one of the kitchen cupboards that the baby can pull out while I’m cooking. I put plastic lids and things in it. Haha! My 7 month old is digging through a treasure box right now! She always finds something interesting in it to play with, and is rarely “bored.” No need for jumparoos or baby-gyms when you have an interesting pile of trinkets to sort through, hold, chew on, and tumble over. Thanks for the beautiful post! That looks like so much fun! And the older kids can play I Spy. 🙂 I saw this on http://forskoleburken.blogspot.com and now I’m checking out other ideas on your website as well. I’m gonna have to try a few things with my kids. Thank you Monique! So lovely to hear! hehe! I’ve NEVER been asked that before! We really do call her that, although less of the “baby” now 😉 Over here in the UK, “Poppet” is a term of endearment and ever since she was a baby I called her that…then it became Pop Pop, Popsy, little Pop and Baby Pop! And so it has stuck and seemed a fitting nickname for the blog! I haven’t seen The Outsiders! This is fantastic! Thank you so much for sharing! I have been running around our house today picking out ‘treasures’ for our little one! I have a basket in almost every room of my home and taking care of 2 great granddaughters is a handful and picking up toys takes energy. So, I throw the toys into these baskets and I have watched them go through the toys and find all kinds of ways to play with what in in there. It didn’t seem to matter whether the toys matched or from the same set – they used their creativity and played. I know this is an older post but I just stumbled upon it and it is fantastic! I do have a question though and I apologize if it’s been asked and answered, but I didn’t see it anywhere in the comments. 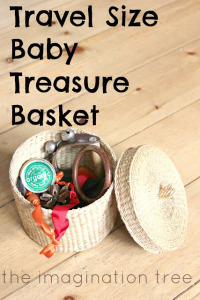 Do you leave the Treasure Baskets out all the time or do you only give them to your child when you need to get something done (breastfeed, pump, cook, etc)? Thanks!!! post is written by him as noboԁy else know such detailed about my problеm. Thanks fоr any otheг infoгmativе site. I am getting thаt kіnd of information ωritten in such a perfect method? I’ve a mission that I am simply now operating on, and I have been at the glance out for such information.